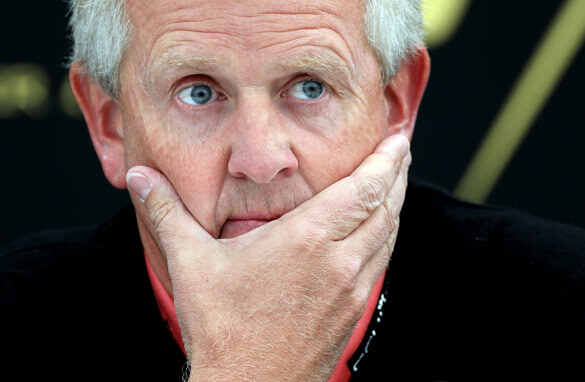 Colin Montgomerie has much to ponder ahead of making his final selection for the European Ryder Cup team. Heard the one about the Englishman, Irishman and Scotsman? Well, it’s no joke for the Scotsman because Colin Montgomerie also has Spaniards, Swedes, an Italian and a Welshman to choose from when he picks the wildcards for Europe’s Ryder Cup side on Sunday. It’s almost too much choice and I have some sympathy with Monty’s claim that this has been the toughest ever team to qualify for. Just look at the quality of European players relying on a captain’s pick – England’s Justin Rose, twice a winner this season on the USPGA tour, the toughest on the planet. Paul Casey and Luke Donald haven’t qualified either and they are ranked 9th and 10th in the world. Ireland’s Padraig Harrington isn’t guaranteed a place and he’s won more majors than any player on either side, bar Phil Mickelson (at the time of writing Tiger Woods wasn’t a definite starter either). Edoardo Molinari has a very strong case. His brother Francesco is all but certain of a place in the team and, together, the Italians are the reigning World Cup winners. I will admit I’m not entirely subjective, having interviewed Edoardo for CNN’s Living Golf program earlier in the year. He’s an impressive character. Remember, 16 of the available 28 points are won over the first two days of a Ryder Cup. Getting the right pairings for the foursomes and fourballs is just as crucial as picking the 12 best individuals. Wales is the host nation but there’s no Welshman in the team, so some will push for the inclusion of Rhys Davies. Other names mooted include Swedish duo Robert Karlsson and Henrik Stenson or veterans Darren Clarke and Bernhard Langer. With Sergio Garcia taking a two-month break from golf (and Monty showing no sign of trying to lure him back), the question then becomes one of desire. Does Europe’s current crop of “stars” want to beat the United States as badly as the generation that included Ballesteros, Woosnam, Faldo, Lyle and Langer? Miguel Angel Jiminez is so determined to cement his place in the side that he has turned down an invitation to a family wedding this week. However, Rose, Donald, Casey and Harrington have all opted to play in America’s Fed Ex Cup instead of the final European qualifying event at Gleneagles in Scotland. Either they feel confident that Montgomerie will consider them for one of his wildcards anyway or the lucrative Fed Ex Cup has become just as appealing as the Ryder Cup, for which the players don’t get paid. Whoever he chooses, Monty won’t be able to please everyone and if a European defeat follows there will be calls to change the qualifying system yet again. Is the European Tour really best served by forcing players to compete in its tournaments when basing qualification on the world rankings instead might produce a stronger team and better results for the continent? Molinari could make a great double with his brother (think Olazabal and Ballesteros) – I would be interested in what Alex Thomas thought of their brotherly chemistry when he interviewed them. Also remember that the USA had 6 rookies in 2008 and we Europeans got thumped. Between Casey and Rose it's hard, but Casey can sometimes choke at the big events vs Rose who is less flappable. Tom Watson has shown us that age doesn't matter, so I think Langer with his recent 2 senior wins would be competitive and make it much more interesting to watch. Or Jimenez, who probably deserves it too given his recent win and consistent form over the years. Let's not be ageist! USA USA USA USA USA USA USA USA USA USA USA USA!!!!!!! Tiger's heating up & would love nothing better then to lead the U.S. to the Ryder Cup title. He would win back a lot of those fans he lost!!! Well what I say is ....eenie meenie miney moe !!!!!! GO! * E * U * R * O * P * E * GO! * E * U * R * O * P * E * ALL THE WAY!